What would your life be like if you had a witch in your pocket working magic on your behalf every single month? That was the question that gave birth to a Witch In Your Pocket. The answers? Nothing short of incredible…marriages that seemed impossible to manifest, better jobs, increased vitality and health, more money, and of course, most important to me, a deeper and longer term relationship to your own special magic. This is a service I started offering to a few beloved clients who had asked for a retainer service several years back. Last year I formalized it and have been working with a gorgeous cadre of souls on a monthly basis and after a full year of running a Witch In Your Pocket I am happy to announce that my clients are LOVING the year long magical and divination service as much as I do! 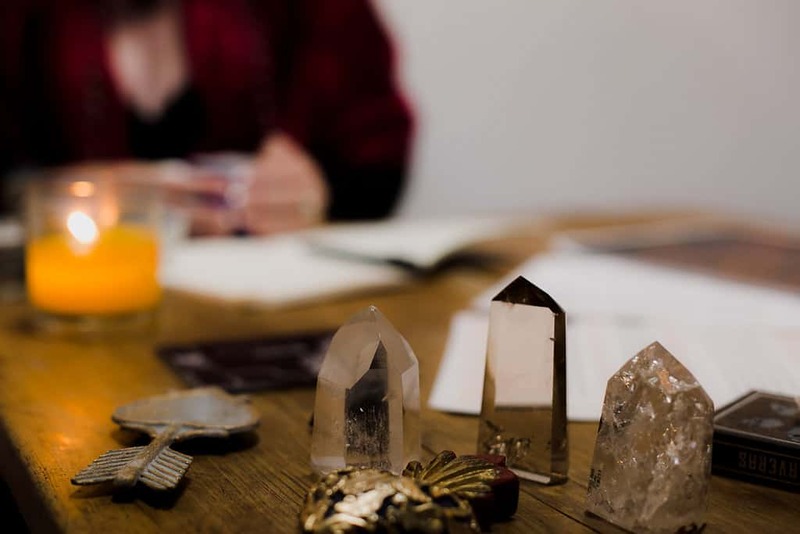 A monthly phone meeting during which we may divine, do some astrology, engage in magical coaching, or cover whatever you need. Custom ritual work every month with the petition of your choice performed on the Full or New Moon as we choose. Complimentary membership into the soon re-vamped Star Magic – because I think having a grasp on astrology is pretty essential to good magic making. Complimentary membership into the monthly Here Be Dragons community altar service. Witch In Your Pocket is $1,000/month with a 12 month commitment. Payment plans are absolutely available for those who would like them. However, I am not giving you a buy button to click on because Witch in Your Pocket is a long term working relationship and I want to make sure that we are the right fit for this particular form of magic making. If you are interested in working with me in this capacity then click on the form to apply! Price: $1000/month with a 12 month commitment – payment plans are available.